I thought I was a big Han Solo fan, but then I saw this blaster and, well, I don’t even come close. This is a hand-crafted, DL-44 prop replica created with a level of obsession that would be scary if it wasn’t so damned impressive. The prop replica is a result of the painstaking work of Todd Coyle, who spent almost two years researching the exact prop used on the set of Star Wars, then acquiring and reproducing the same pieces that were used to create the original. 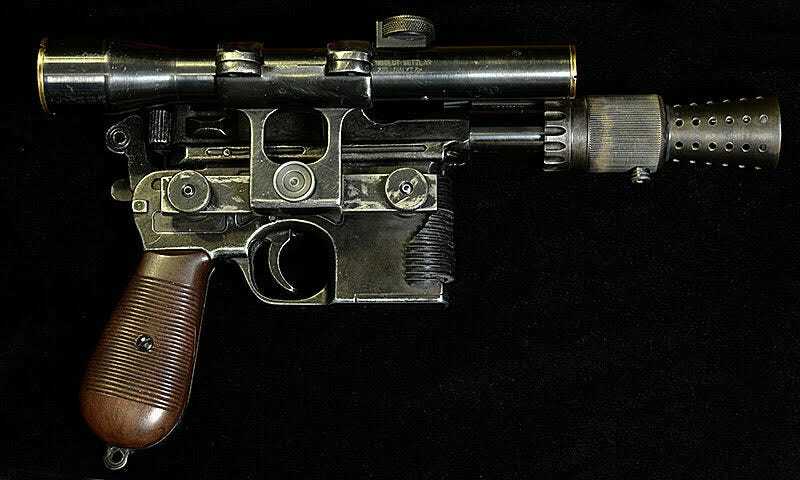 The result is, quite possibly, the most accurate replica of Solo’s A New Hope blaster ever. And while those photos look cool, honestly, you can’t even really see the care put into it unless you have it in your hand. I got to handle one in person, and it feels real. There’s a huge weight to it. And unlike other replicas I’ve seen (and even own), it feels handmade. You can see the pieces put together. It’s not just one big 3D print job. It’s even maybe a little loose in places—which it would have been on the set of the film. It also comes in a “battle worn” edition which takes the screen-used look of the replica to an even higher level of detail by distressing it according to mountains of visual reference. Here are some photos of that. As you’d expect, this blaster isn’t cheap. It’s $450 for the new one and $500 for the worn one. But if you’re a Solo fan and missed out on Master Replicas or other similar replicas, this is possibly an even better option.